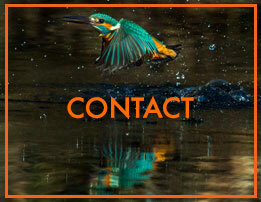 Full Booked, to be put on our waiting list please contact us. 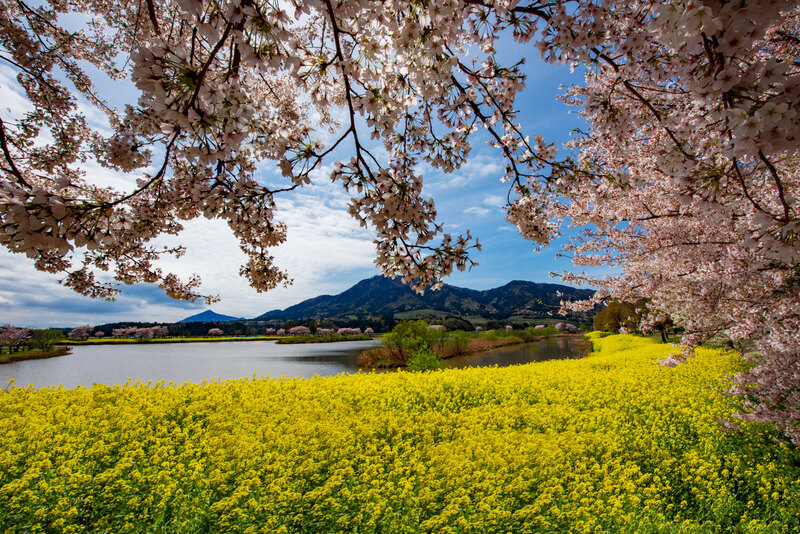 12 Day cross country Cheery Blossom Photography Tour Japan adventure. This tour is for those who have wished to capture Japan’s legendary landscapes, and it’s Shinto Buddhist shrines. You will share the same zen garden paths that ancient samurai walked upon. We will experience this journey together on a round trip starting at the Pacific Ocean through the interior to the sea of Japan and back to the Pacific ocean. The highlights include Mt. 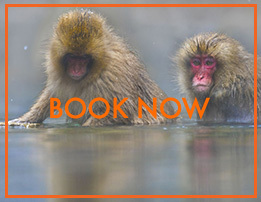 Fuji, Hakone, Nagano, Snow Monkeys, Niigata, Samurai Castle’s, Ancient ruins, Buddhist - Shinto shrines and temples, Shinto Maidens, Wildlife, Healing Hot Springs, Japanese Cuisine, Oiran Procession Parade, plus much more. Day 1, 2, Arrival and meet Tokyo, Haneda Airport, (HND) Matsumoto Castle National Treasure Japan built in 1504, used officially by the Samurai until 1868. Local it is known as Kurasu-Jo or crow castle due to its grandeur’s black exterior. 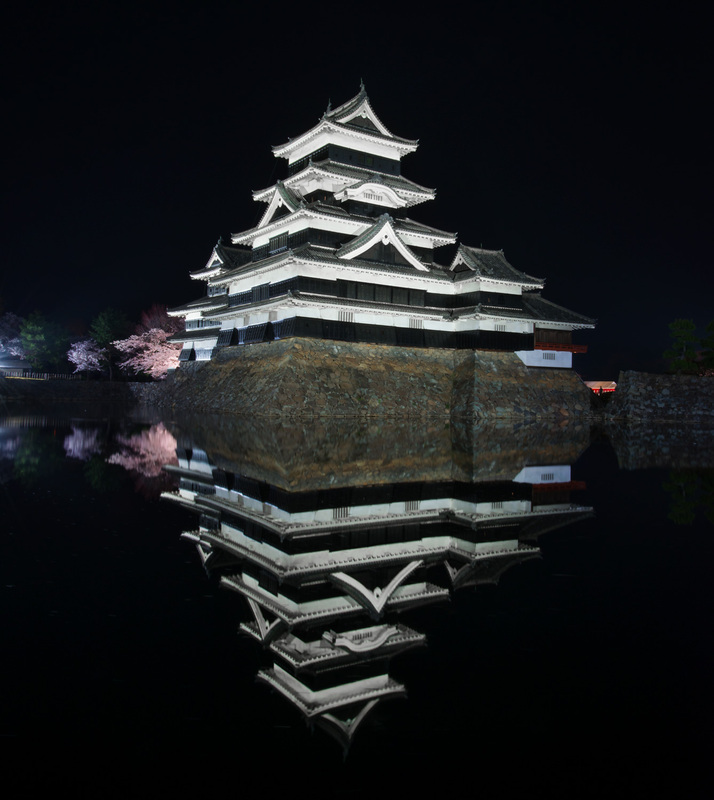 During Cherry blossom season the castle and cherry trees are beautifully lit up, and the reflection of the castle in its moat is stunningly beautiful and dramatic. Our group will take part in the festivities inside the castle grounds in the evening while live musicians entertain, and you will enjoy the traditional Japanese tea ceremony. 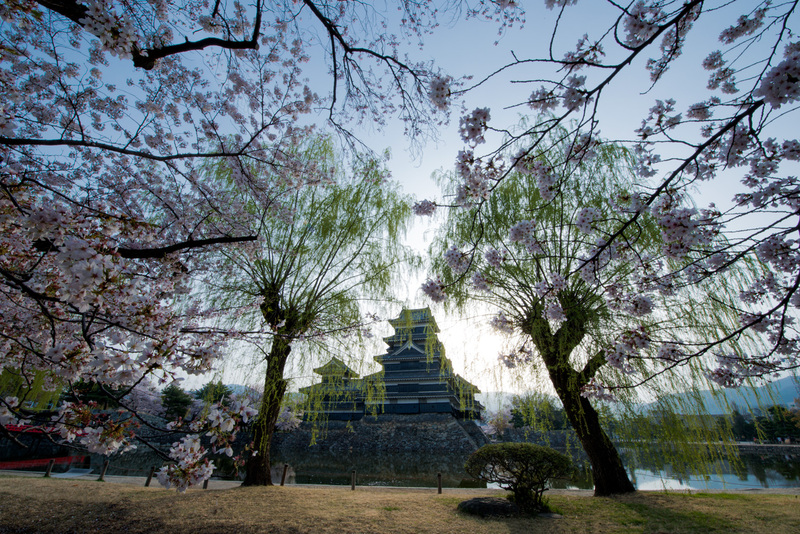 In the AM golden hour you will photograph the sunrise with cherry blossoms and Matsumoto Castle in the drop back. Day 3, 4, You will have up close and personal encounters with the wild Japanese macaque and photograph newborn baby snow monkeys as proud mother show them off. 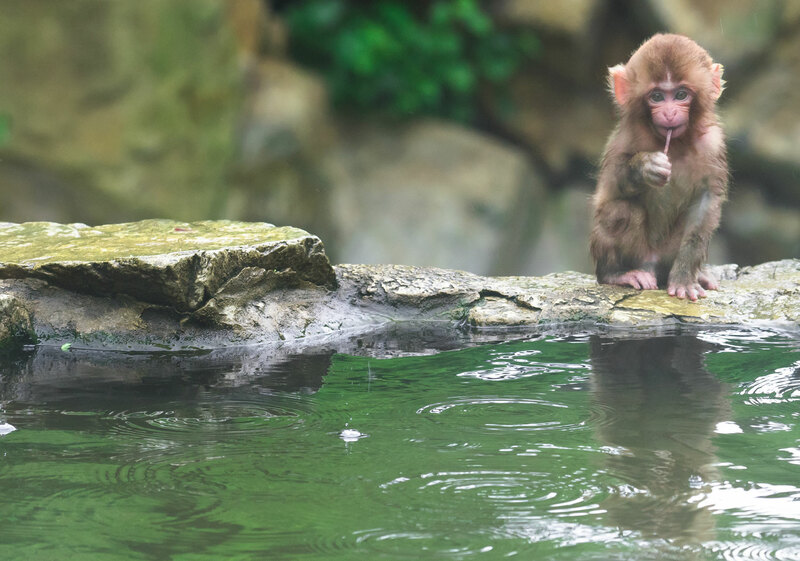 In spring you will also be able to photograph monkeys enjoying the hot springs. Blain your tour leader visits Jigokudani Yaen-Koen Snow Monkey Park throughout the year and is familiar with individual monkeys in the region including their rank and behaviors, so you will be well prepared to get the very best shots. Day 5, 6, 7, By The Sea Of Japan, you will be among the few to experience the most incredible cherry blossoms seen in Japan captured by few world travelers. The area is known for healing hot springs and Japanese cuisine. From Mt Yahiko, we will be able to view the sea of Japan and embarrass an incredible sunset. Yahiko Shrine is a humbling journey of cultural history were the clothing of ancient times will be worn by Shinto maidens. Oiran Geisha Parade Procession. You are invited to Blain’s historically time-honored tranquil Japanese home for tea. Day 8, 9, 10, 11, Mt. Fuji and it’s five surrounding lakes. The Sea of Trees, Ice Caves, Shirato Waterfalls. The perfect cherry blossoms at Chureito Pagoda with iconic Fujisan and a sea of cherry blossom trees. We will take a drive up to station five at 2300 meters to get a birds-eye view of our surroundings. Astrophotography than a breathtaking sunrise on mt fuji. Day 12, Drop off and departure from Tokyo, Haneda Airport, (HND) Thank you, and we look forward to the next adventure together. •Wildlife and Cherry Blossom photography. Tour Cost: $6700 Includes all lodging based on double room occupancy 3-5 star with western style toiletries, all breakfast and dinners, all group ground transportation sports utility vehicles with business class seating, all entrance fees, all donations at temples and shrines, professional photography guide instruction, detailed itinerary with clothing and gear recommendations.